Del Ray Artisans is a non-profit organization promoting art for the benefit of artists and the community. And their 2018 calendar is now available for pre-order at $16/calendar (regular price is $19). 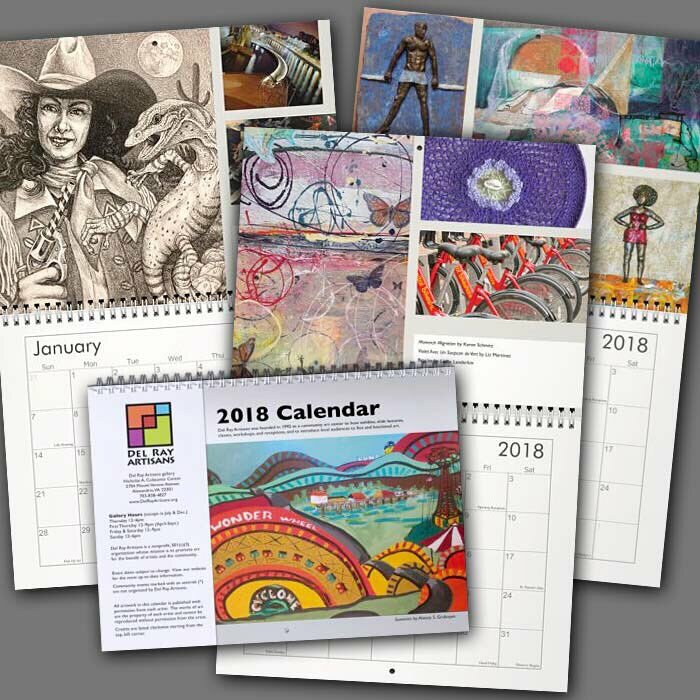 The calendar showcases 45 pieces of art from 44 local artists! This great wall calendar comes pre-printed with Del Ray Artisans events and community events, so you won’t miss a thing! Click here to pre-order at the discounted price. This price is only available until November 8th. Once they come in, calendars must be picked up. Shipping is not available. All proceeds support Del Ray Artisans. For more information on the calendar fundraiser, contact the Director of Fundraising, Joe Franklin, at Fundraising@DelRayArtisans.org.